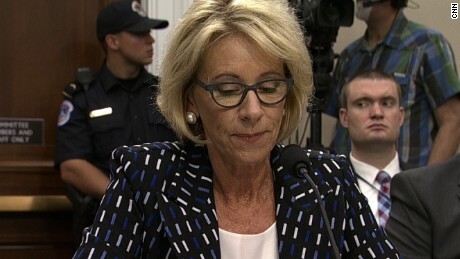 “The Department of Education illegally delayed implementation of the 2016 borrower defense rule, but because our clients in Bauer v. DeVos were willing to fight back, 15,000 students are finally getting the relief they are owed,” said Toby Merrill, director of the Project on Predatory Student Lending, which represented the students leading the legal fight against DeVos. “It’s disappointing that it took a court order to get Secretary DeVos to begin providing debt relief to students left in the lurch by predatory for-profit colleges, but I am pleased the department has finally started implementing [the borrower defense] rule and that some of the borrowers who attended schools like Corinthian Colleges and ITT Tech are finally getting their loans cancelled,” Murray said. DeVos’ effort to delay and rewrite the Obama-era borrower defense rule—which was designed to provide debt relief to students who were misled or defrauded by for-profit colleges—sparked a flood of condemnation and lawsuits from students, consumer advocacy groups, members of Congress, and state attorneys general.